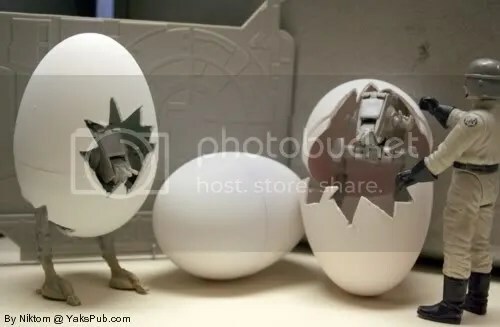 LoL What came first, the chicken walker or the egg? I’m guessing the mother was the AT-AT? Lol. Not sure what your referring to so I’ll let ya know about both. The AT-STs are from the Hasbro Titanium line and the eggs are just left over from Easter… cut and painted of course.